Hello everybody, after several requests on the ability to insert a block for the News in forum.php, here's a small mod that does the job. 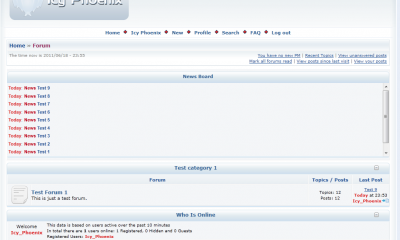 It is based on the inclusion of icy phoenix news, then by using the title of the thread that you have set as news. a block set from the CMS that allows insertion into any page you want, from index.php to any page in the list of "Standard Page" in the CMS. I hope you find it useful, thanks to napless for the idea and raphael10 to get it tested.